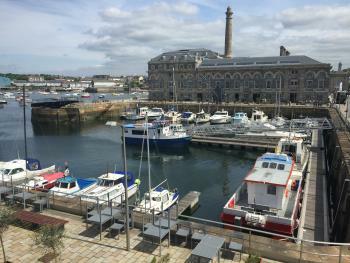 This is a stunning 3 bedroom has beautiful sea views over the marina from the balcony and most of the bedrooms. 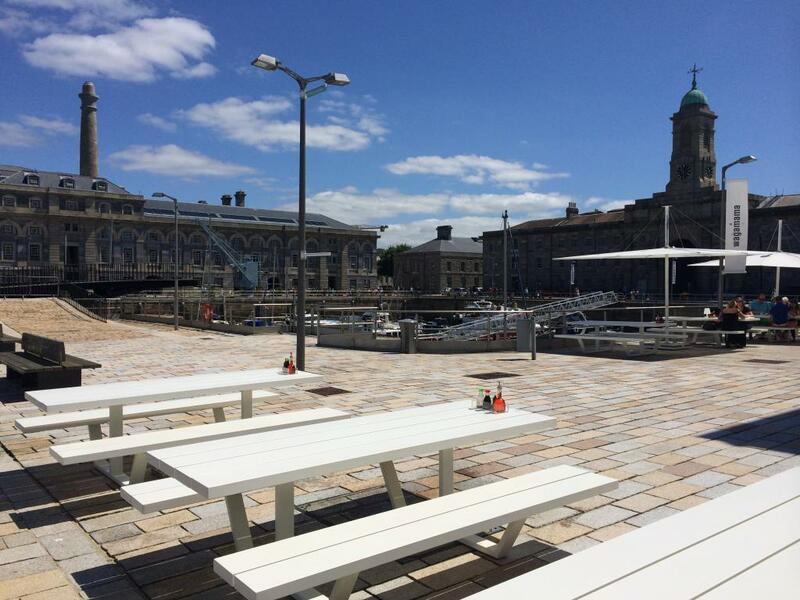 It’s a fantastic place to relax and unwind with a selection of great restaurants and wine bars on your doorstep. 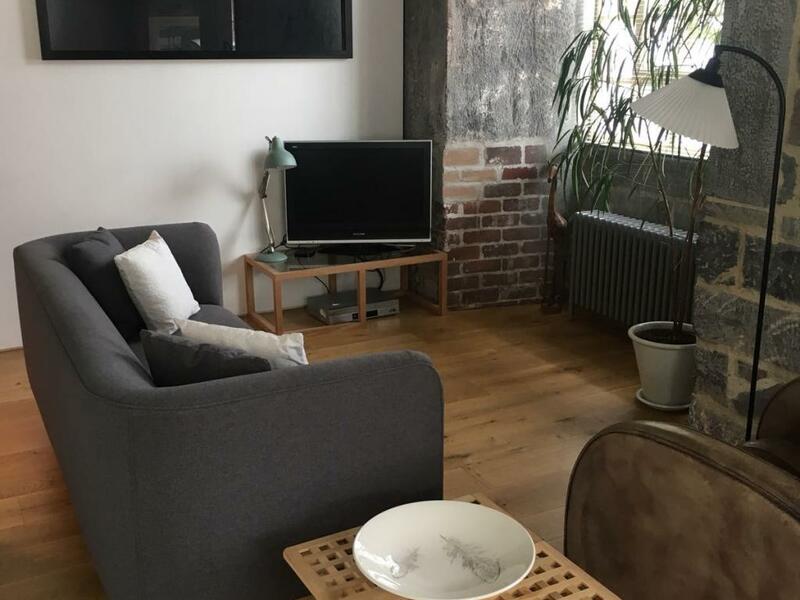 This apartment is ideal for 4 adults and 2 children as the bedrooms consist of 2 bedrooms with king size double beds and en-suites and 1 twin bedroom with 2 single beds. 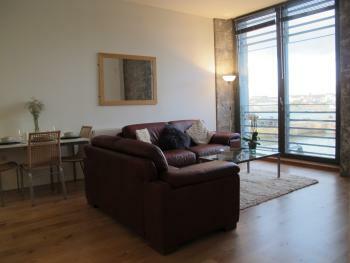 The apartment has a lovely large open plan lounge with balcony looking over the marina. 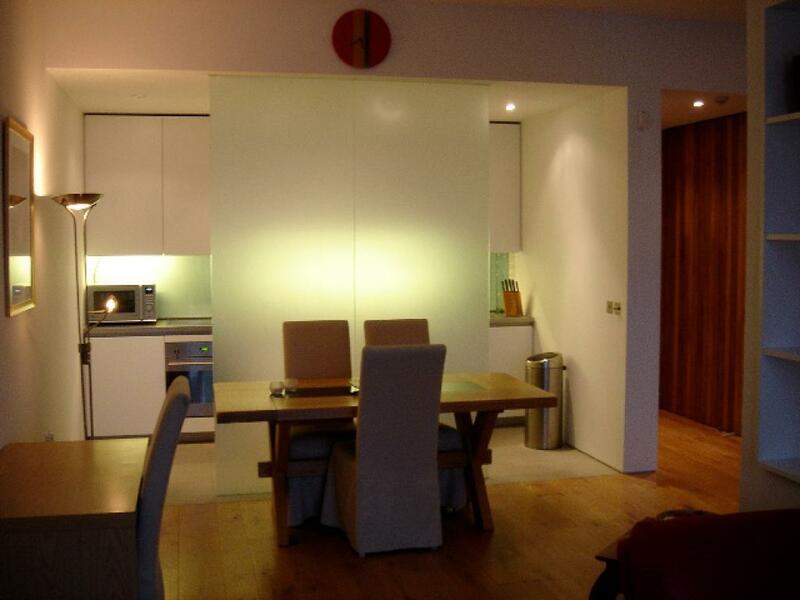 There is also a fully equipped open plan kitchen and dining area for 6 people. An allocated parking bay can also be arranged for £10 per day. 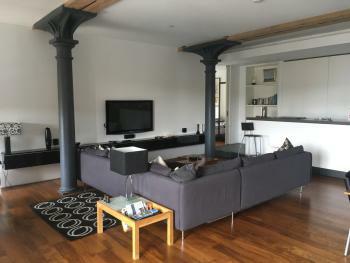 This 2 bedroom modern apartment offers great character throughout. 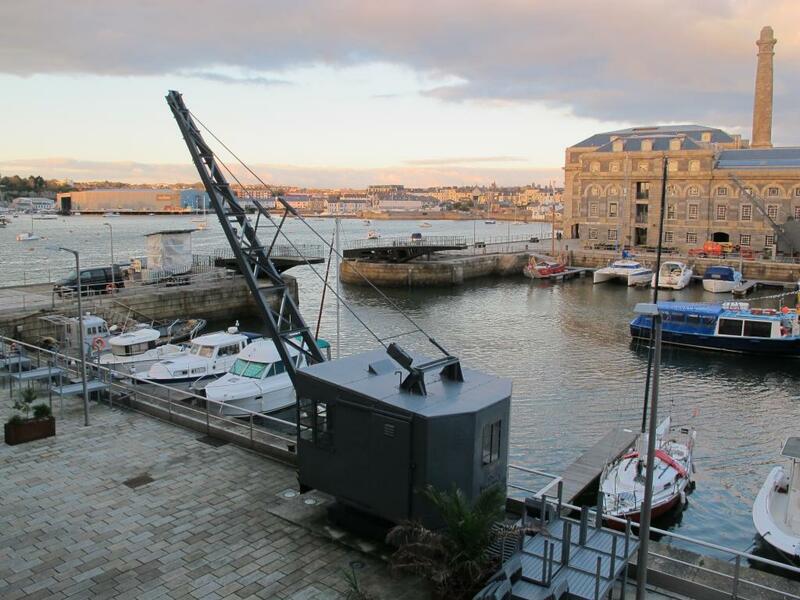 Located opposite Princess Yacht Marina you can witness many desirable boats sailing past your window. 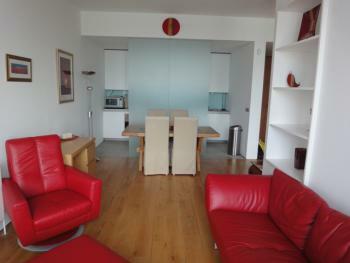 The apartment is modernly furnished, situated on two levels. Ground floor has a long open plan living, dining and kitchen area with high quality dark wood flooring. 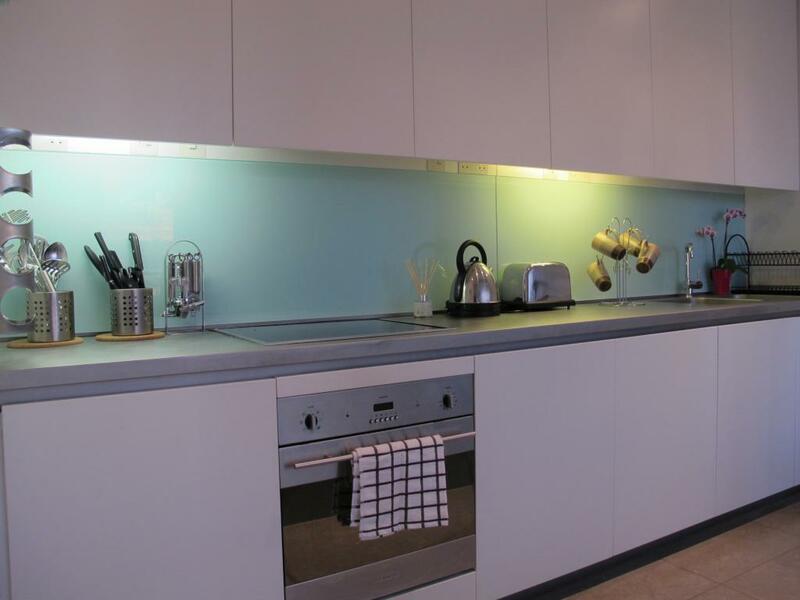 The kitchen is fully equipped with plenty of storage, dishwasher, fridge freezer, microwave, kettle, toaster, oven and grill. The kitchen steps down into a dining area with table and 4 chairs, large sofa, flat screen TV, stereo, DVD player and WiFi. 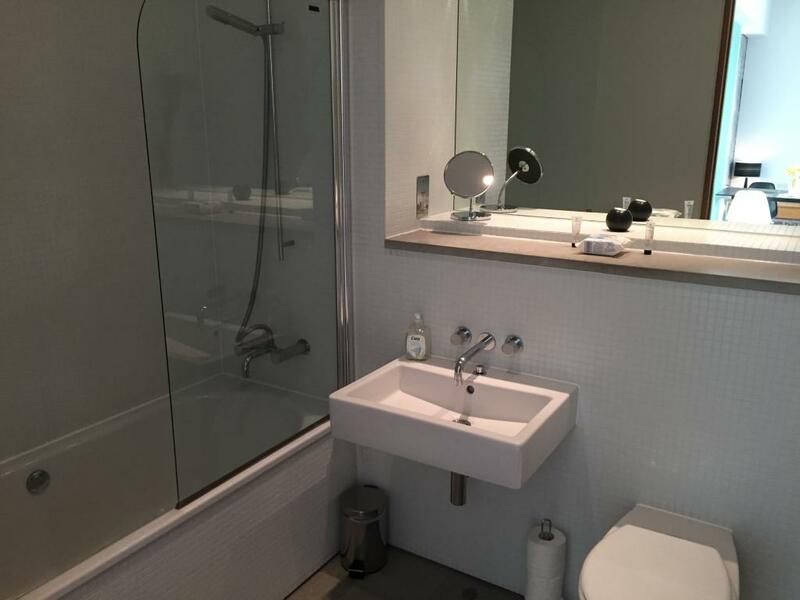 Large walk in shower and toilet facilities with heated towel rail are based on the ground floor, elegantly tiled and mirrored throughout. A washer dryer is provided in the Utility room along with other cleaning equipment. A wooden winding staircase leads to the upper floor, either side of the staircase is 1 double bedroom and 1 king size bedroom. 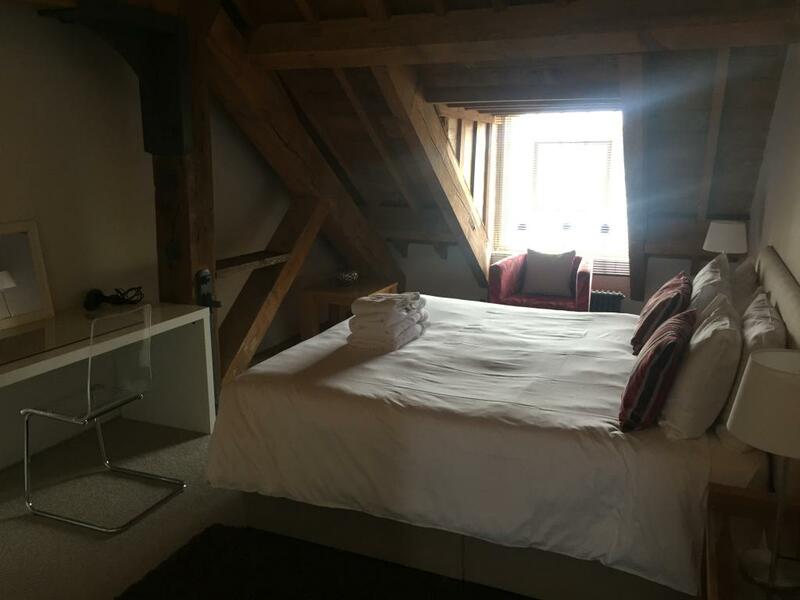 Both rooms are in the apex, exposing charming rustic wooden beams giving off a great feel of nostalgia in this glorious historic building. 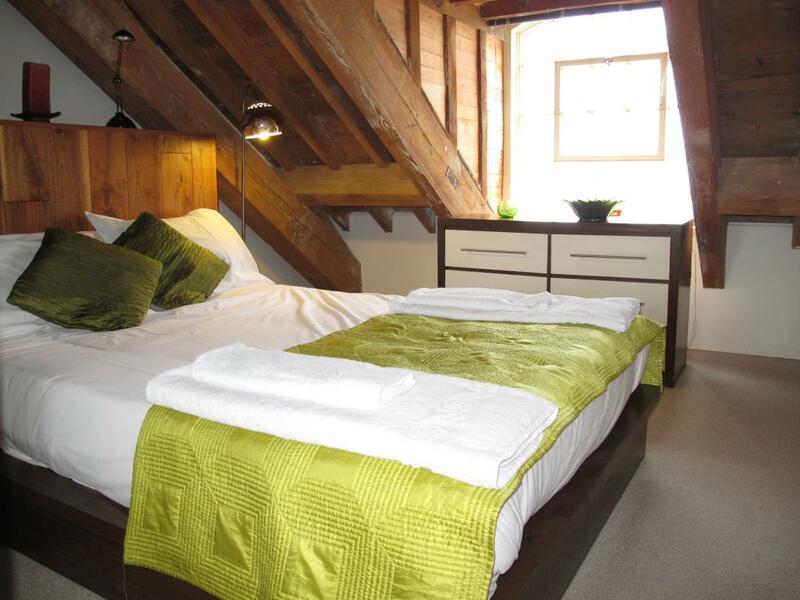 The double room offers views across the rooftops of the building with a view of Plymouth Sound in the distance. 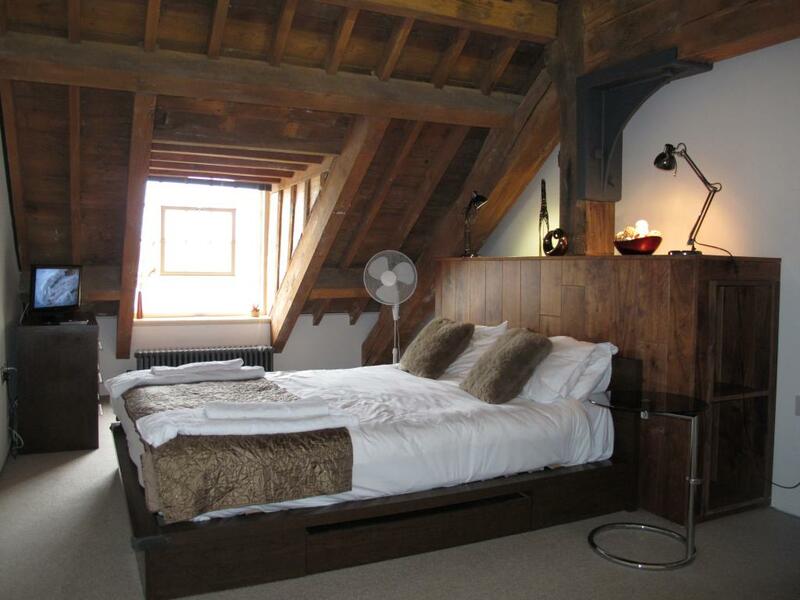 The king size bedroom maintains the same view as the ground floor. 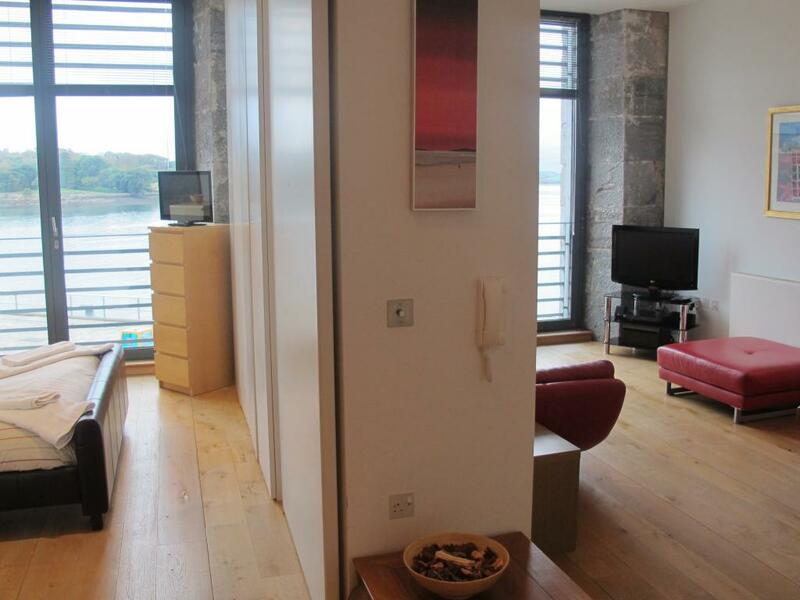 Both rooms contain wardrobe and drawers for plenty of storage. 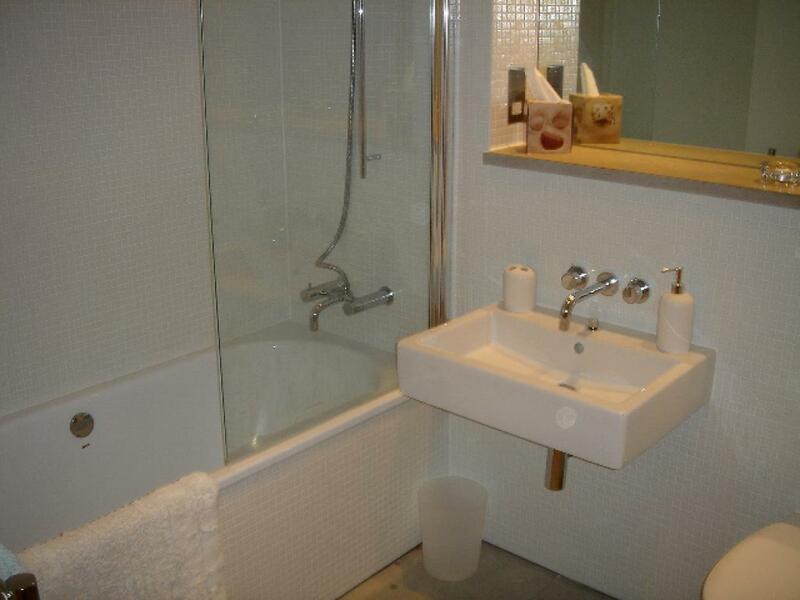 There is another wash room on this level, with bath, toilet, heated towel rail, hairdryer and large mirror. We provide towels and bath mats on arrival. Parking can be arranged from £8 per day. 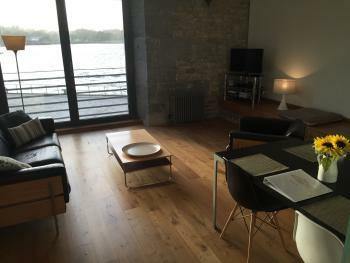 This beautifully spacious 1 bedroom, self catering apartment, is enriched with a picturesque sea view of the Tamar Estuary along with beautiful Cornish scenery of Mount Edgcumbe, where you can witness the coming and going of the Cremyll Ferry. 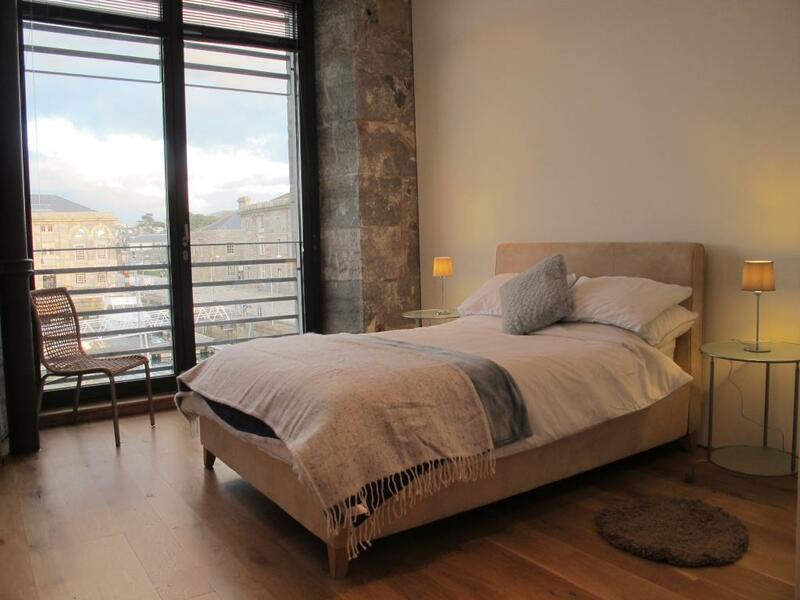 Whatever the weather, the apartment offers great comfort with these stunning views from Juliette balconies in both the bedroom and living area. 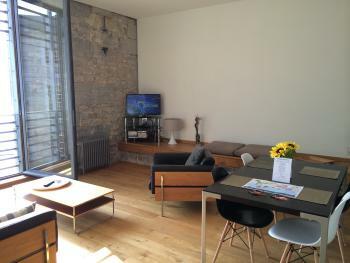 The large living space consists of large sofa and armchair, dining table with four chairs, large flat screen TV and DVD player. 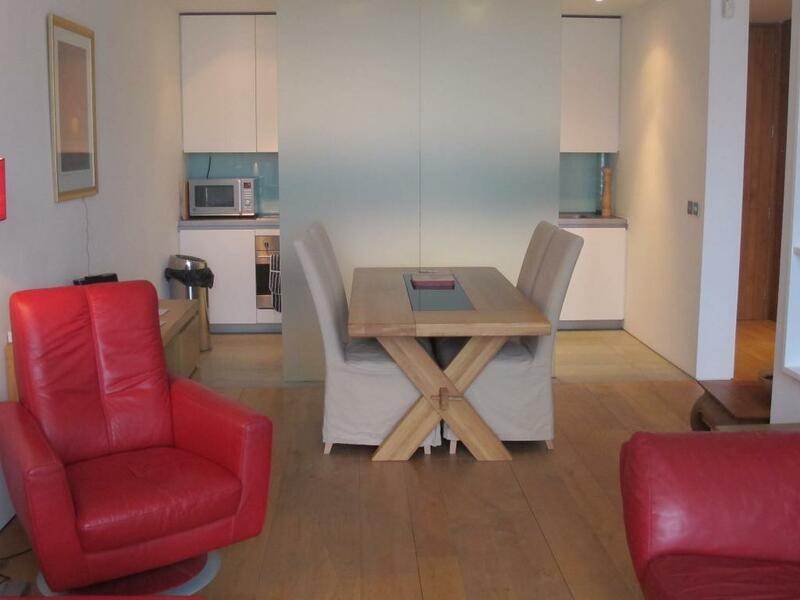 The kitchen is fully equipped, with integrated fridge and freezer, kettle, toaster, microwave oven and hob. Utility room contains washer dryer and other cleaning utensils. 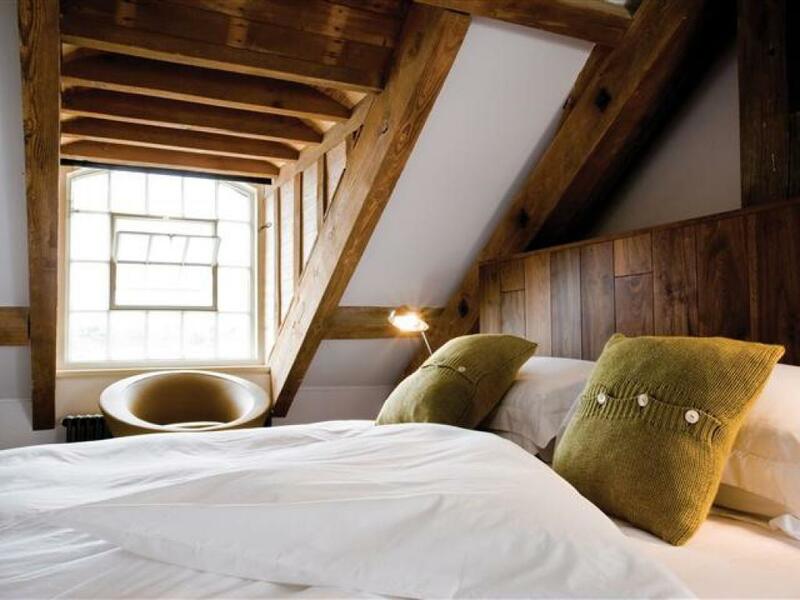 You can wake up to these exquisite views from your comfy king size bed, the bedroom has floor to ceiling wardrobes providing plenty of storage. 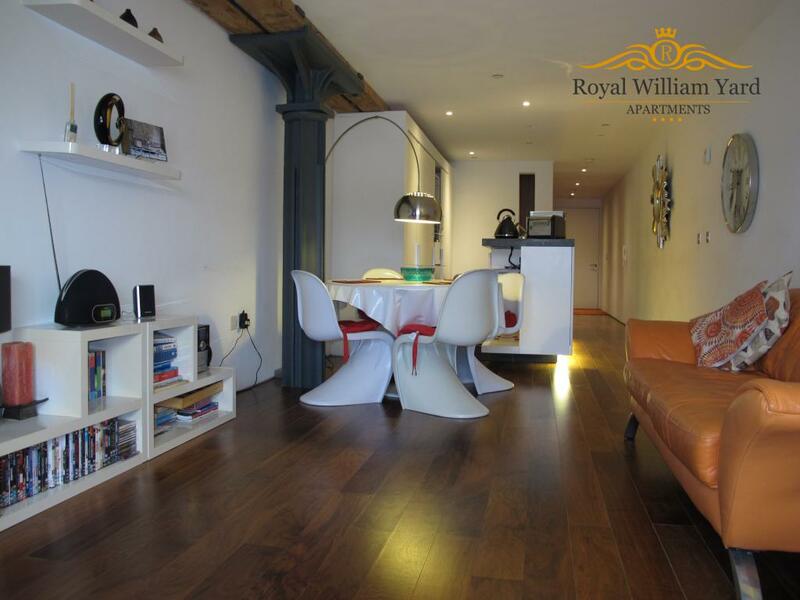 There are many restaurants and bars within walking distance from the property and only 10 minutes ride into the City Centre and Barbican. 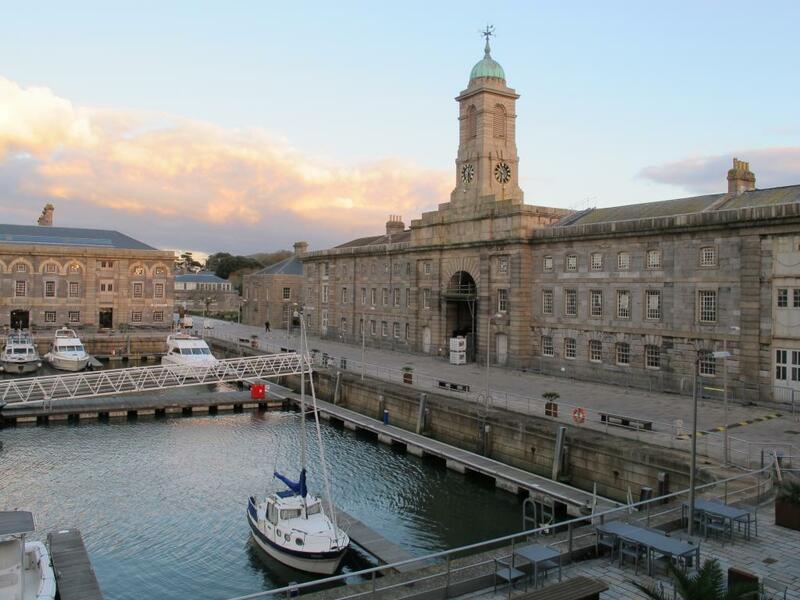 The Royal William Yard also has many events throughout the year such as the Farmers Market selling various local fresh produce and crafts, Open Air cinema Nights and much more. For more information please check our Events Page or at the Gate House on the 'What's On Board'. 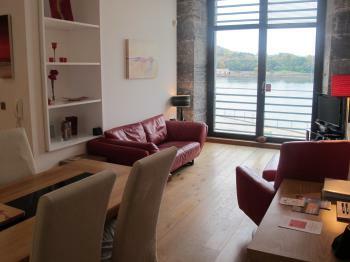 With striking views across the River Tamar towards Cremyll, the Mount Edgcumbe Estate and the rolling hills of Cornwall, this flagship one-bedroom serviced apartment offers a spacious, homely living (or working) space with everything needed for a short break or a longer stay. 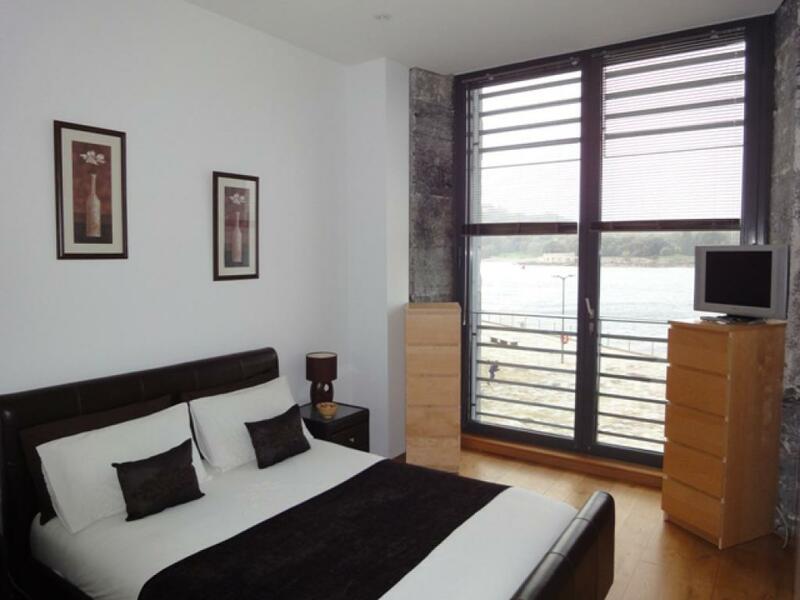 Wake up to the gorgeous views of the estuary, the passing river traffic, the crossing ferries or watch the glorious sunsets from the Juliette balconies after a day’s activities. If you have a good pair of binoculars, you’ll enjoy the views even more!! 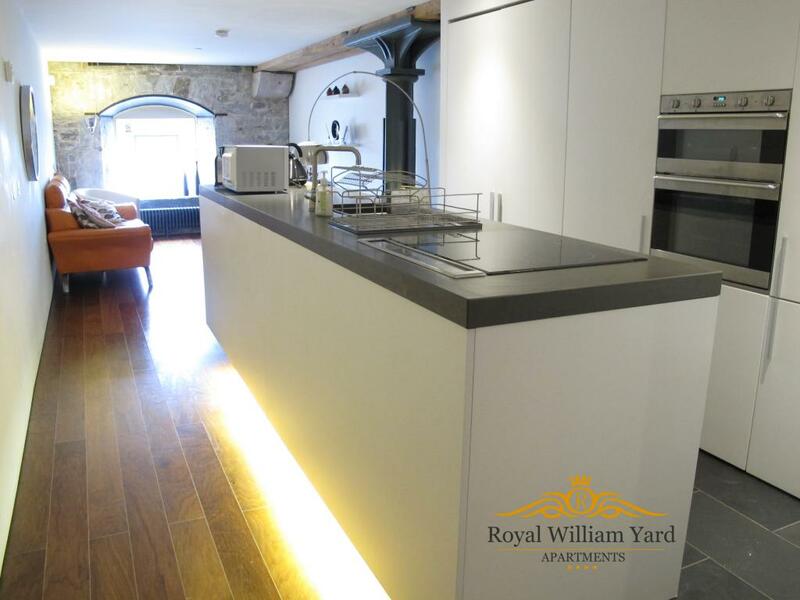 Decorated in a modern style with quality furnishings, this is a very charming apartment retaining much of the Royal William Yard’s original character. 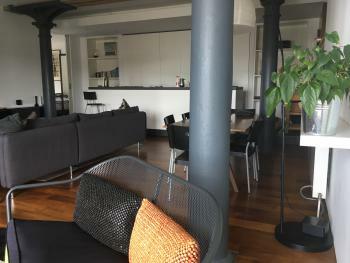 Superbly equipped, features include a comfortable lounge with sofa, arm chair, large footstool, dining table with four chairs, writing desk, a Sony Bluetooth sound bar (with a lovely rich sound for your favorite music), flat screen TV, DVD player and free WiFi. 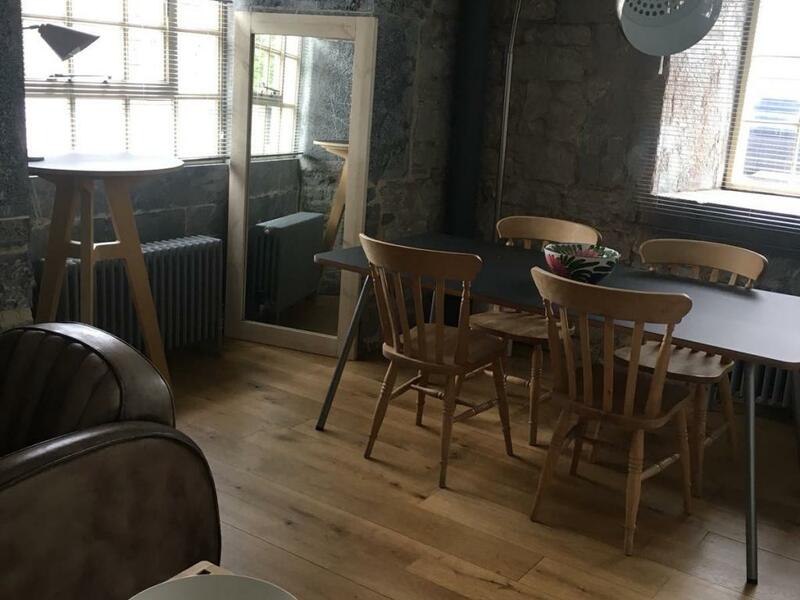 The spacious bedroom has a very comfortable king size bed, plenty of built in floor to ceiling wardrobe storage space, a whisper quiet temperature regulated oscillating fan, TV and DVD player and the ever essential hairdryer. The fully equipped kitchen has an oven, microwave, hob, fridge freezer, kettle & toaster and all the utensils to go with them. 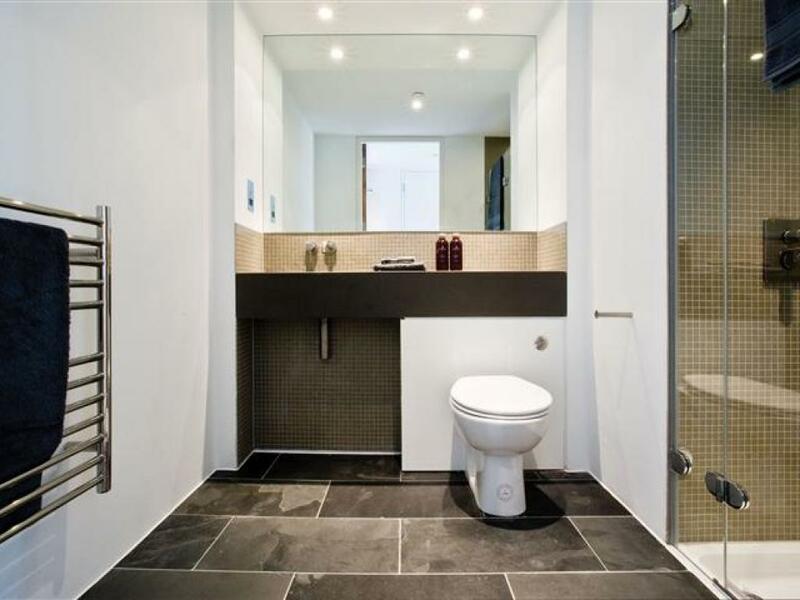 The well-appointed tiled bathroom features a deep bath with over shower, sink, toilet, chrome fittings and large wall mirror. 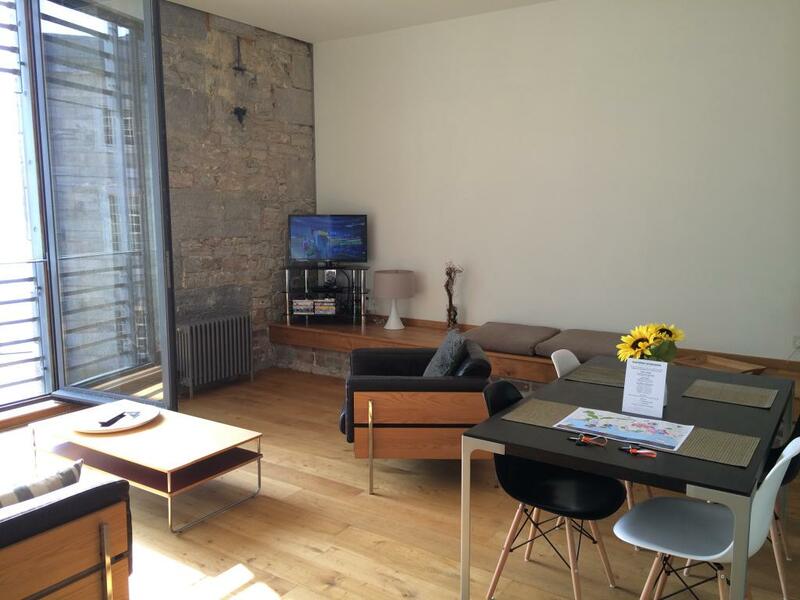 The apartment also has a utility room which has a washer/dryer, iron, ironing board and cleaning utensils. 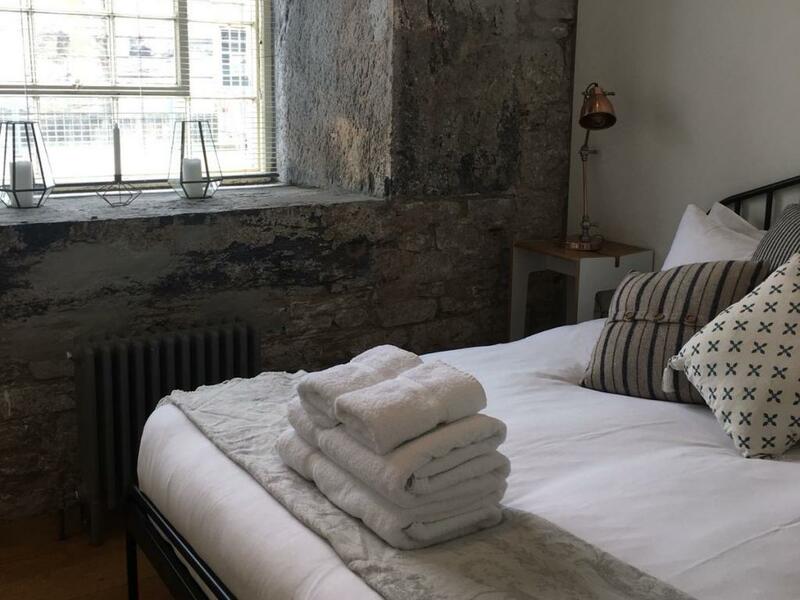 The apartment comes with full linen and towels. This apartment comes with the exclusive benefit of a FREE dedicated parking space which gives a saving of £10 per night if you do require onsite parking. 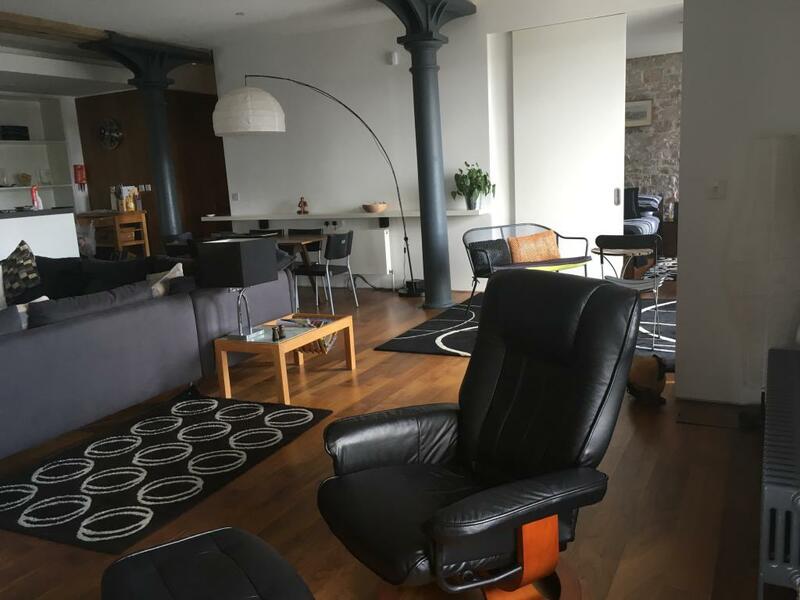 This 2 bedroom modern apartment offers great character throughout. Located opposite Princess Yacht Marina you can witness many desirable boats sailing past your window. 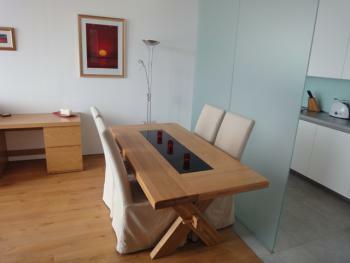 The apartment is modernly furnished and is situated over two levels. The ground floor has a long open plan living, dining and kitchen area with high quality dark wood flooring. 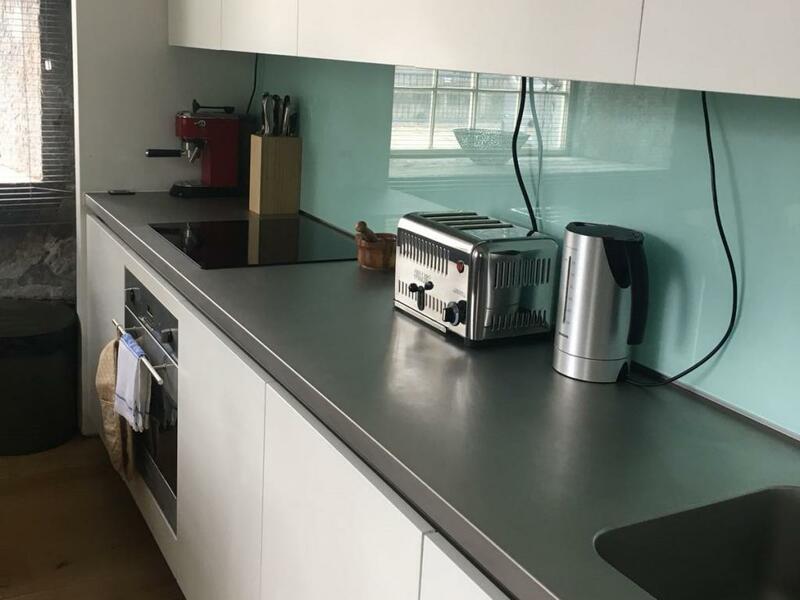 The kitchen is fully equipped with plenty of storage, dishwasher, fridge freezer, microwave, kettle, toaster, oven and grill. The kitchen steps down into a dining area with table and 4 chairs, large sofa, flat screen TV, stereo, DVD player and WiFi. 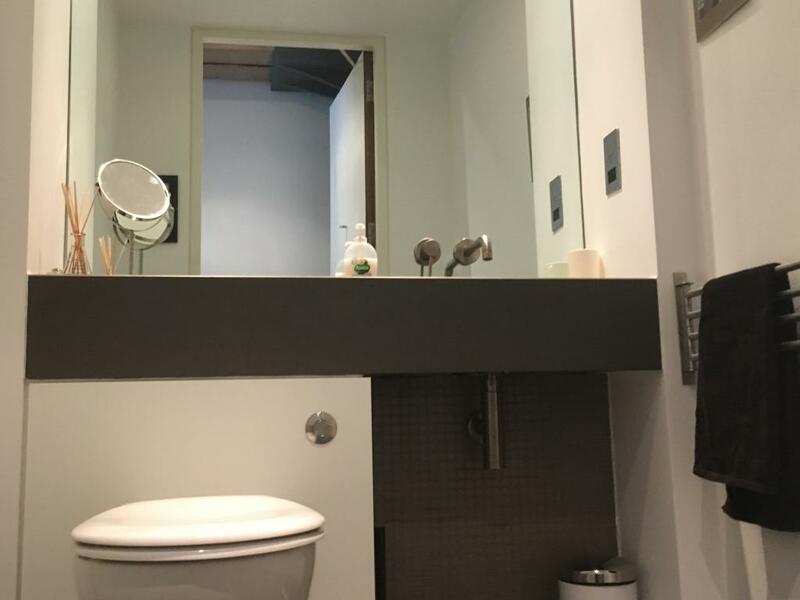 There is a large walk in shower and toilet facilities with heated towel rail are located on the ground floor which is elegantly tiled and mirrored throughout. Washer dryer provided in the Utility room along with other cleaning equipment. 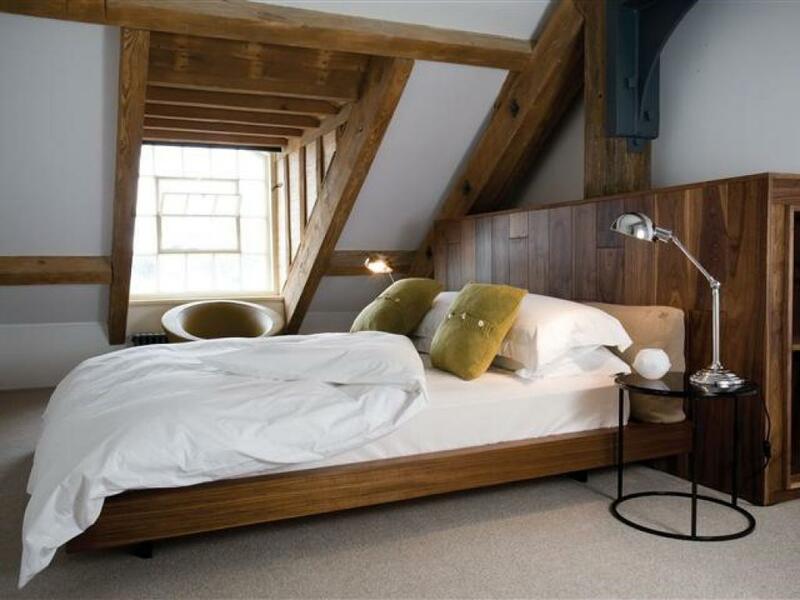 A winding wooden staircase leads you to the upper floor where you will find two bedrooms, one with a double bed and the other with a king size bed. 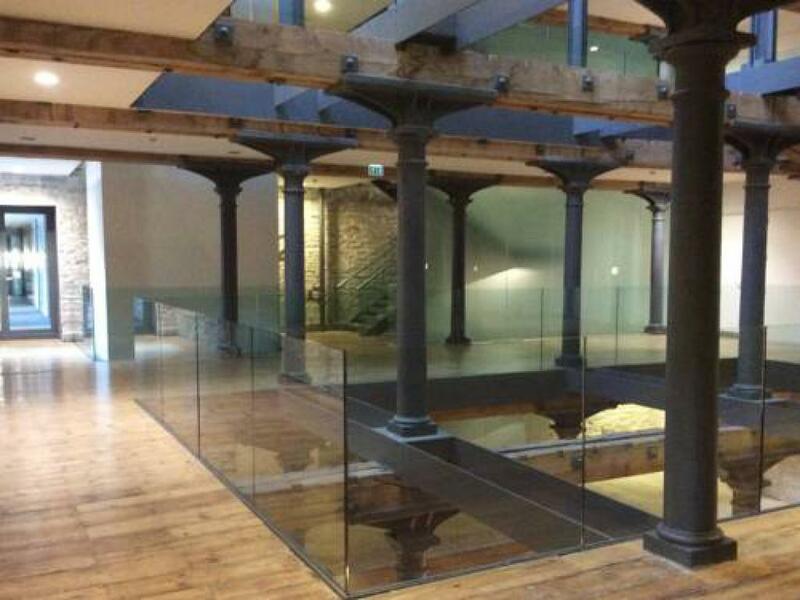 Both rooms are in the apex with exposed original beams which give an insight into the history and construction of this former Naval base. 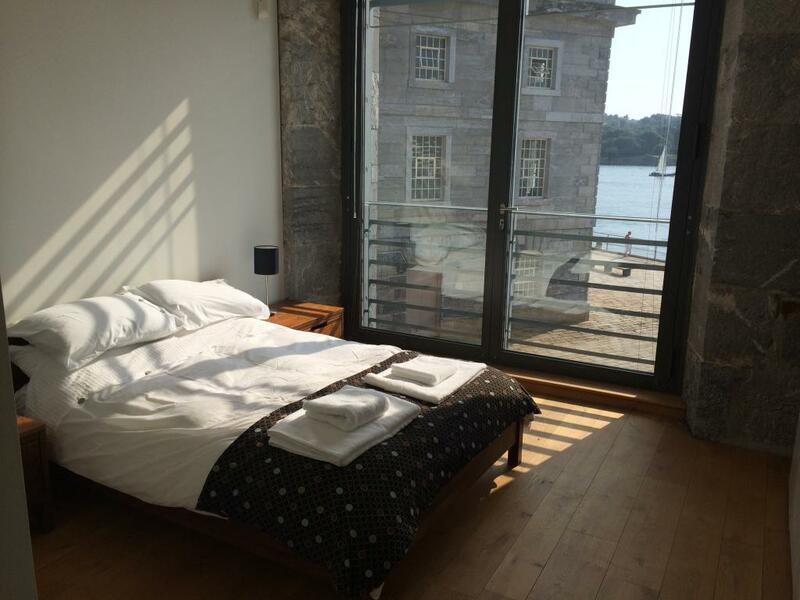 The double room offers views across the rooftops of the building with a view of Plymouth Sound in the distance. The king size bedroom maintains the same view as the ground floor. Both rooms contain wardrobe and drawers for plenty of storage. 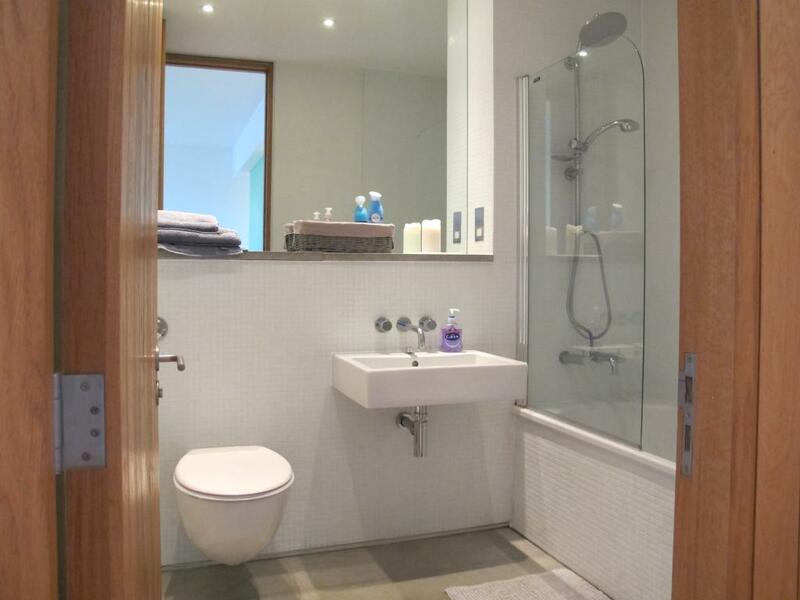 There is another wash room on this level, with bath, toilet, heated towel rail, hairdryer and large mirror. We provide towels and bath mats on arrival. 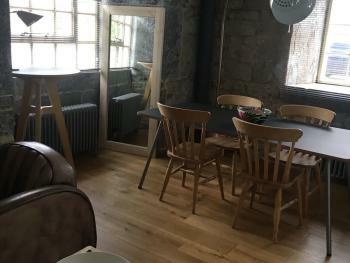 There are plenty of restaurants within the yard, including The Bakery for a fantastic breakfast all produce locally sourced and freshly baked bread, Wildwood a rustic Italian restaurant and shop, plus many more to choose from. 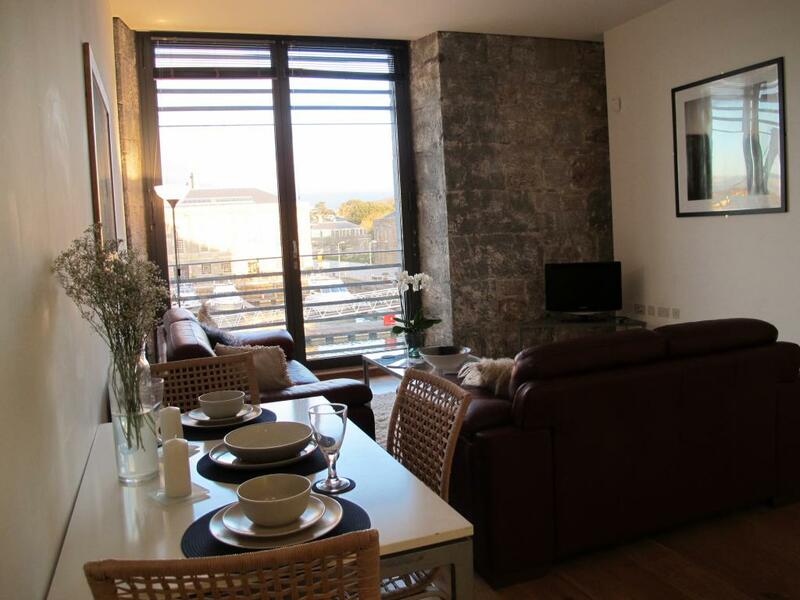 This ground floor (courtyard facing) one-bedroom serviced apartment offers a spacious, homely living or working space with everything needed for a short holiday break or while on business. 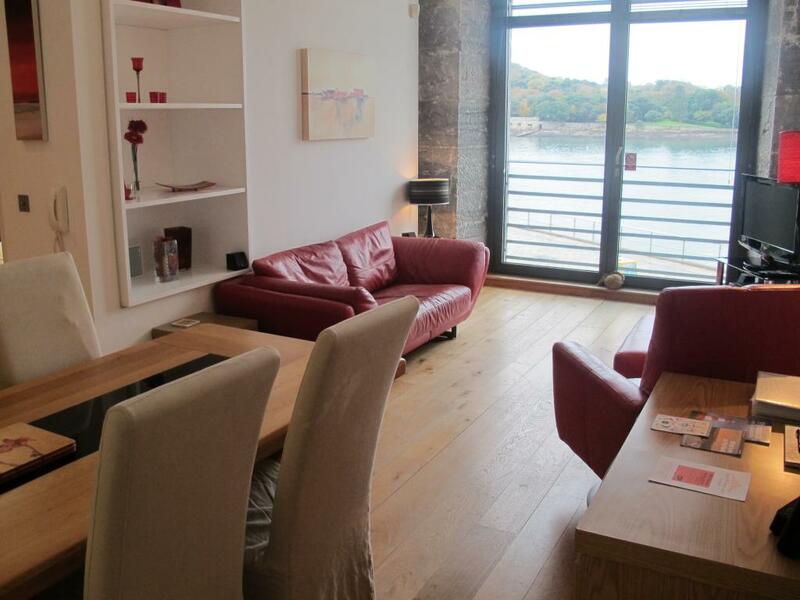 Decorated in a modern style with quality furnishings, this is a very charming apartment retaining much of the Royal William Yard’s original character. 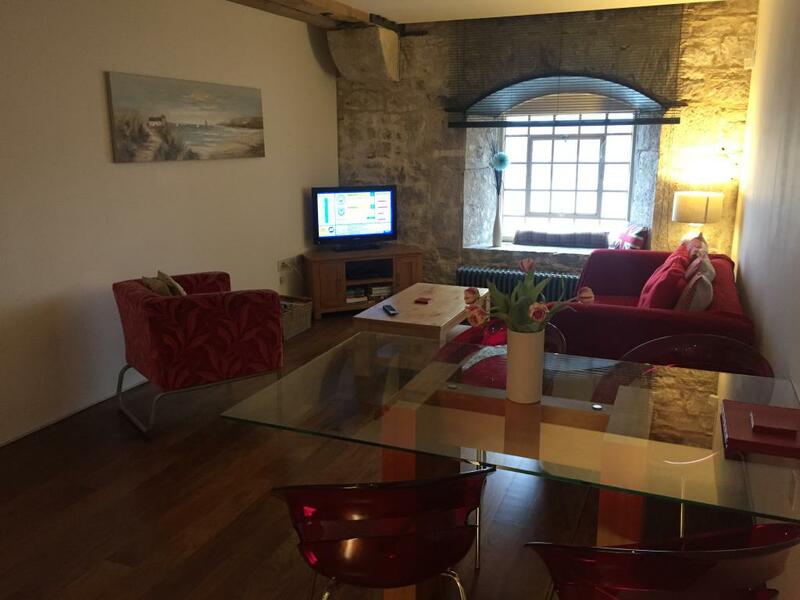 Superbly equipped, features include a comfortable lounge with sofa, arm chair, dining table & four chairs, TV, DVD player and free WiFi. 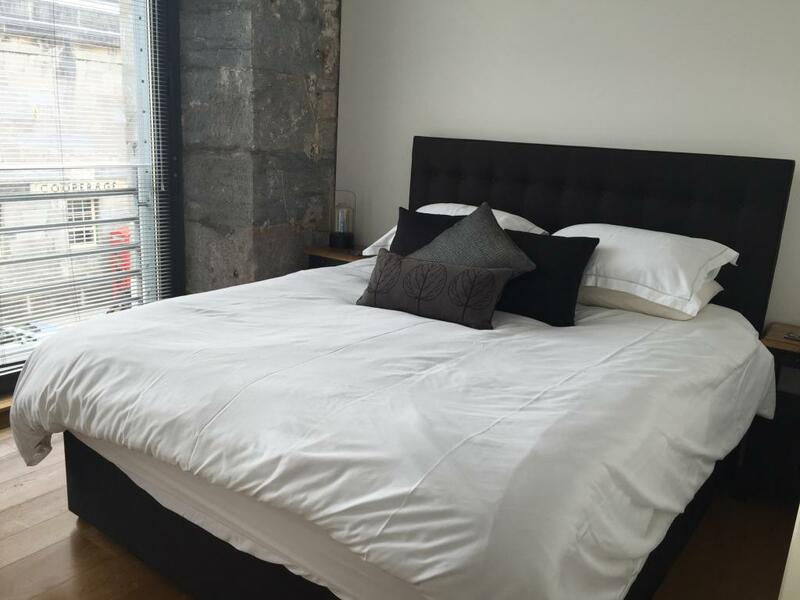 The spacious bedroom has a very comfortable double bed, plenty of built in floor to ceiling wardrobe storage space and hairdryer. 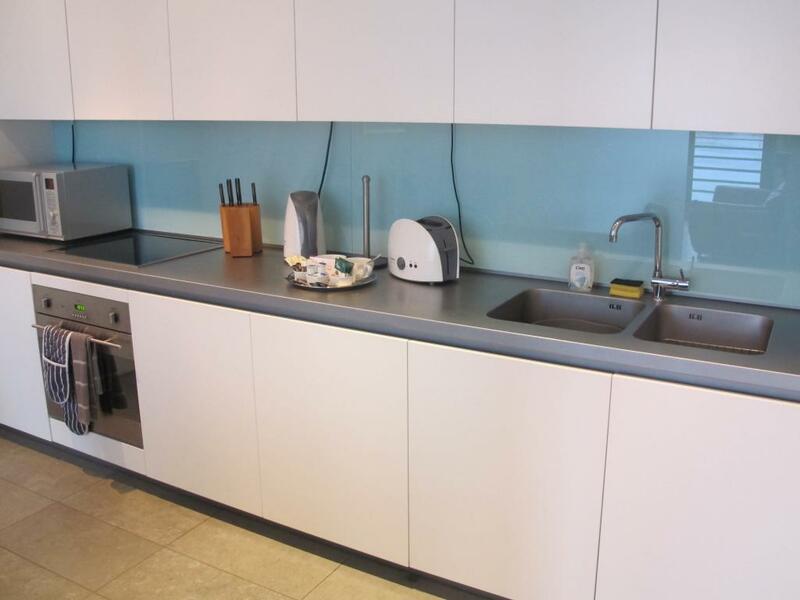 The fully equipped kitchen has an oven, microwave, hob, fridge freezer, kettle & toaster and all utensils. 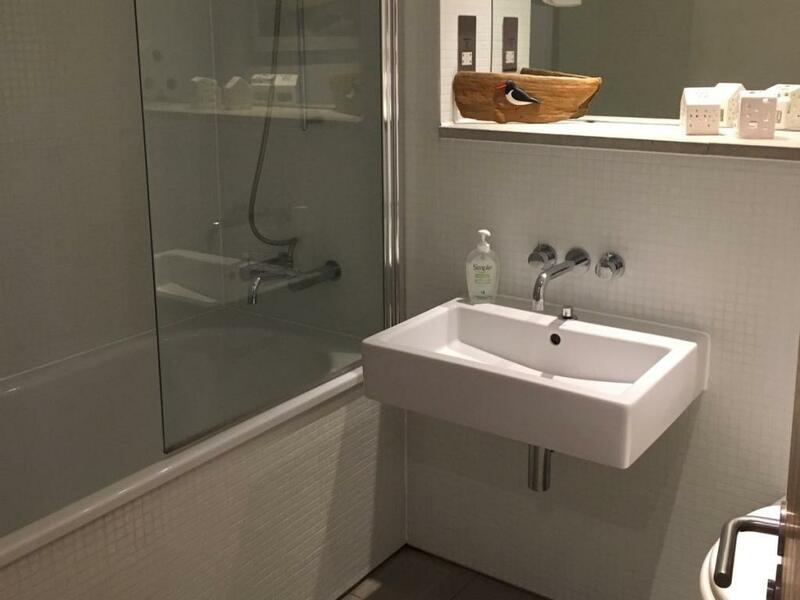 The bathroom space features a deep bath with over shower, sink, toilet, chrome fittings and large wall mirror. 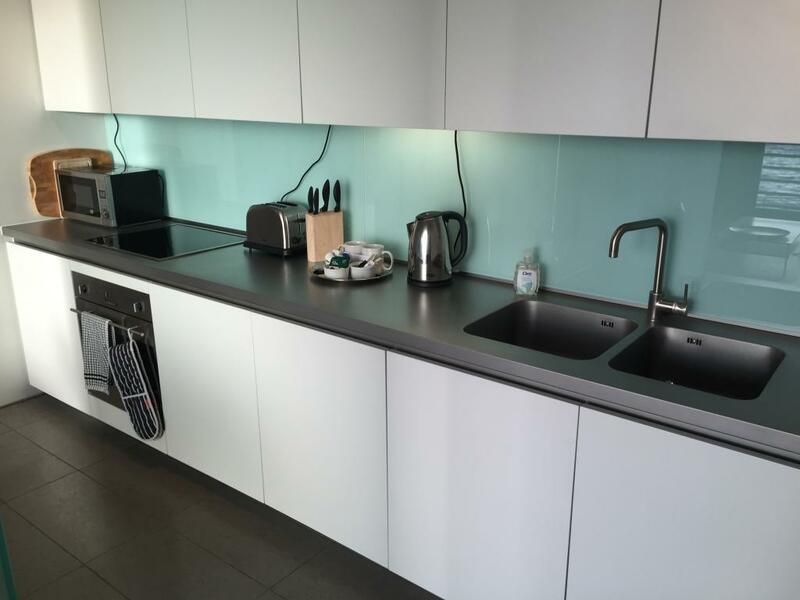 The apartment also has a utility room which has a washer/dryer, iron, ironing board and cleaning utensils. 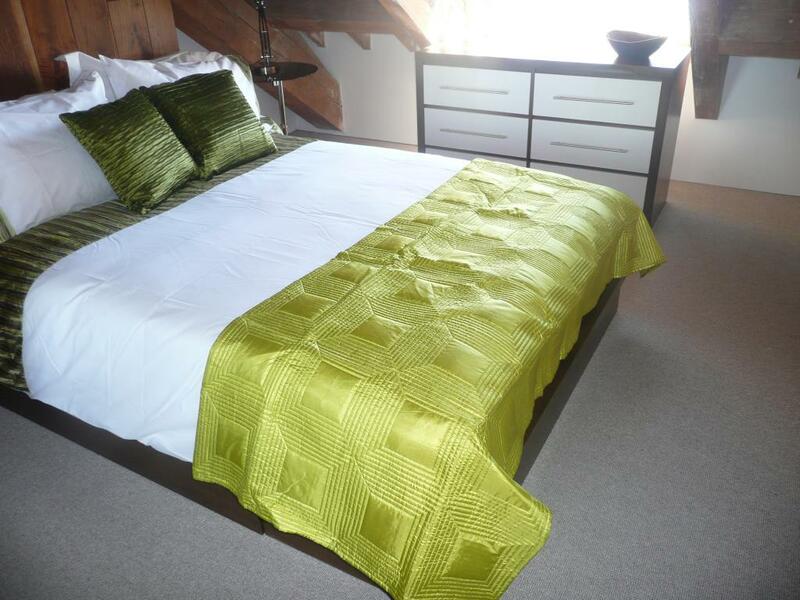 The apartment comes with full linen and towels. 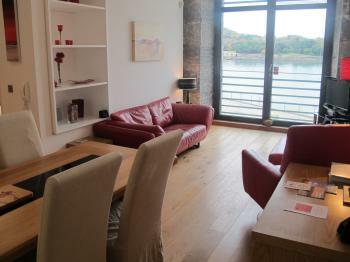 We can arrange parking with this apartment for £10 per night. 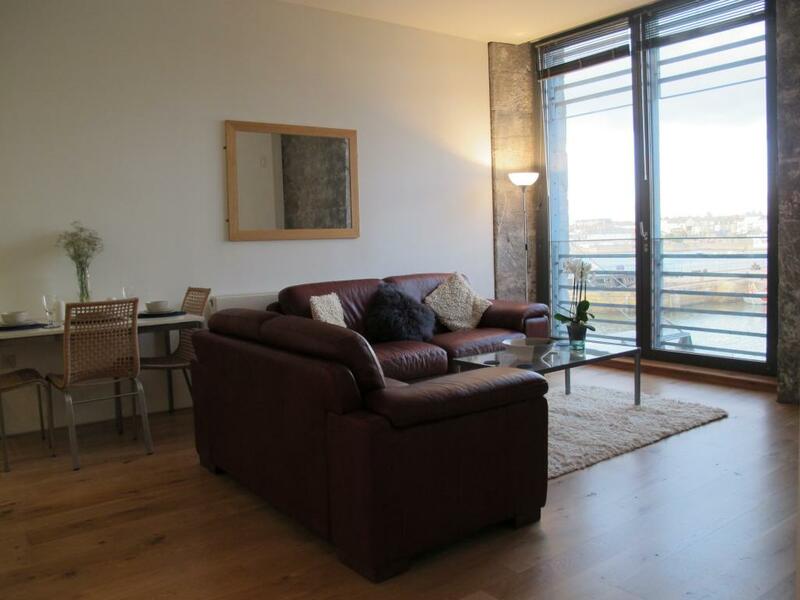 A superb one bedroom apartment with separate lounge and kitchen and stunning marina views. 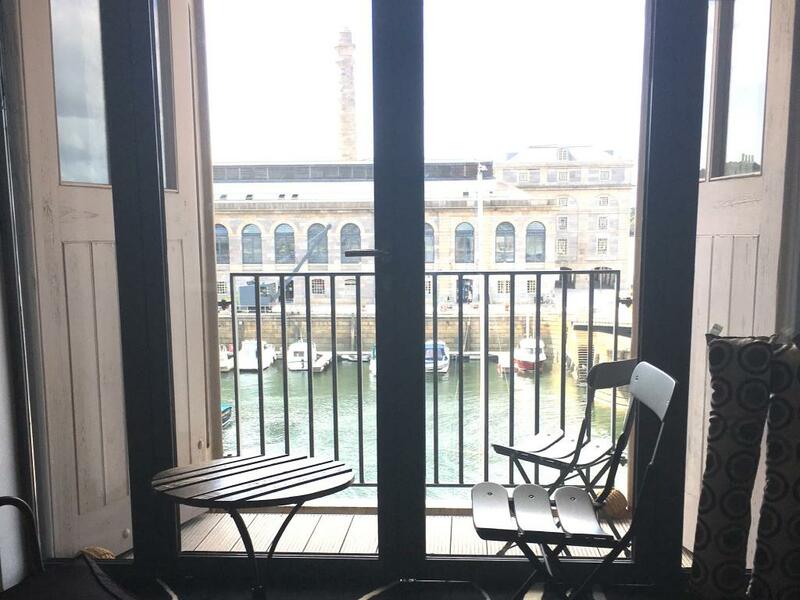 Royal William Yard Apartments offer you the unique opportunity to stay and relax in one of the most desirable locations in the South West of England. 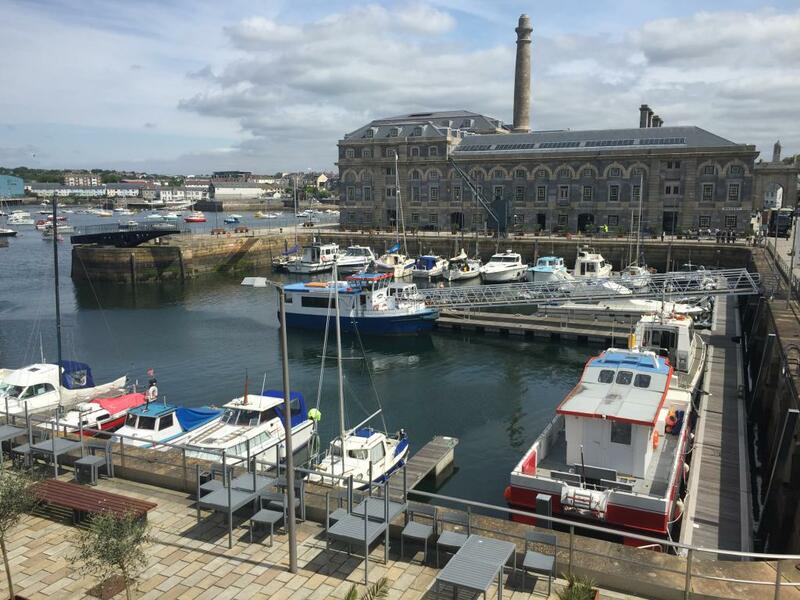 Situated in the prestigious Royal William Yard, our apartments in Plymouth offer excellent self-catering accommodation with free WiFi and sea/river views, making it the perfect base for business or pleasure as a serviced apartment or self-catering holiday. There are 6 top quality restaurants and a bakery on your doorstep in the Royal William Yard making it a hot spot for foodies, celebrating special occasions or just relaxing with great food & drink next to the Marina. Each modern Royal William Yard Apartment boasts a fully fitted kitchen with a washing machine, oven and refrigerator. The living areas have flat screen TV's and dining tables. Welcome hampers are also available upon request. 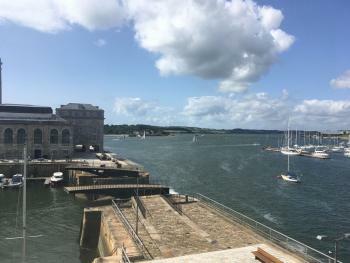 The historic Royal William Yard is famous for its selection of restaurants and the stunning location, overlooking the Tamar River and Mount Edgcumbe. 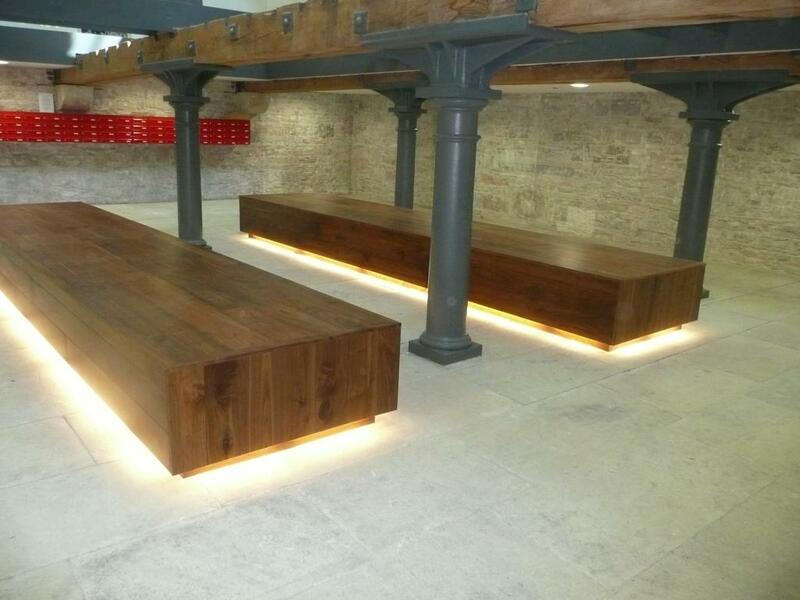 We can also arrange parking for at £10 per day. Take Commercial Rd to Alphington St/Exe Bridge S/A377. Follow Alphington St/A377 to Church Rd/B3123. Get on Devon Expy/A38 from Church Rd, Chudleigh Rd and A379. Follow Devon Expy/A38 to Plymouth Rd/A374 in Plymouth. Take the A374/B3416 exit from Devon Expy/A38. Continue on A374. Take Union St and Durnford St to Admiralty Rd.